Seasons Greetings from the Iceman! It’s a special time of the year. Christmas is a time for giving. New Year is the time for resolutions to do better. And for the Iceman, it’s time to thank our donors and appeal to continue giving smiles to 2400+ orphan’s faces. 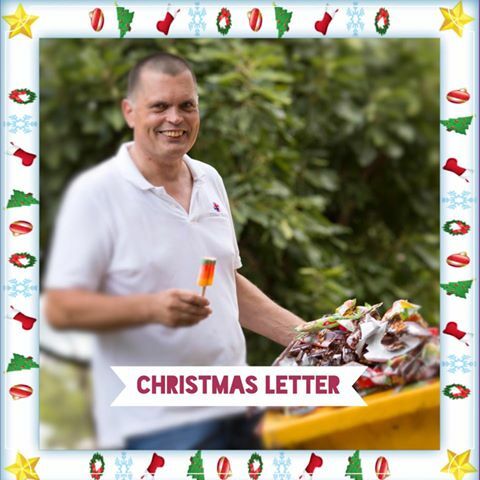 My last Christmas wish, to bring smiles to the faces of 2.400 orphans, was answered this year by a record amount of donations to the Iceman Charity! Benefactors big and small, all around the world helped us make the magic happen for Thailand’s orphans. I got my nickname, The Iceman, through my volunteer work on behalf of children at one of the biggest orphanages in my adopted home of Bangkok. I decided to bring them just a little joy. It started with a simple objective – give each and every one of the 2,446 orphans a taste of happiness: an ice cream treat. Their joy and smiling faces at this simple pleasure changed my life totally and created the Iceman Charity. I decide to give the Wat Sakaeo Orphans Foundation a percentage of my income to support its professional mission – the welfare of the children and their development into productive, well-educated adults. Within the years, friends, colleagues and clients got involved, helping to make an a large impact on the lives of these children. Their involvement has grown exponentially. And, the Iceman Charity has never lost sight of our original mission. In 2016, we provided regular ice cream treats for the 2,466 children at Wat Sakaeo Orphanage. That’s a total of 19.800 ice cream treats (= smiling faces)! Plus, we secure more than 70 tonnes of rice for the children each year. There’s a lot to do in this world for children in needs.. It’s now been 13 years of the Iceman Charity. Each successive year is better than the last. We’re blessed with sponsors and supporters who love our work and who know I work extremely hard to fulfil our commitments to the kids. For me, each year’s success gives us a taste for what more we can do moving forward. I sometimes have tears in my eyes after having worked all day at orphanage and seeing so much more we could do. That’s why all your support is so important for us. It will help us make an even stronger impact quicker. There is a lot to do in this world and I know there are many worthy charities. That’s why I’m so grateful for all the support we receive for Wat Sakaeo from so many people. We need more, much more, to help unprivileged kids in the future. And we would like to say THANK YOU to all who supported us, we wish you a MERRY CHRISTMAS and a HAPPY NEW YEAR!